Bowling Green Charter School is a 50-year-old K-6 elementary school with an illustrious history that became California’s 18th charter school in 1993. In the mid-1960’s it was featured in Sunset Magazine for its innovative arboretum, which was a focal point of community involvement and integrated thematic instruction. As one of California’s earliest charter schools, it has continued that noble tradition and embraced other ground-breaking policies, such as class size reduction, that have since become common throughout the district and state. At this time the school is organized into two distinct small learning communities (SLCs) : the Ken McCoy Academy for Excellence and the Chacón Language and Science Academy, working in tandem to serve the needs of our changing population. Both SLCs operate under one charter, the Bowling Green Educational Community. Each small learning community has its own principal, governance structure, budget and educational program. Prior to 1993 Bowling Green was a traditional elementary school in the Sacramento City Unified School District. The central campus is fifty years old. In 1993 the school became the 18th charter school in California. The charter was renewed in 1997 and again in 2002. With extensive changes, it was again renewed in 2008. In 1999 the school expanded with the construction of the BF annex of 17 classrooms; in 2001 the school library was expanded and renovated. In 2004 the West Wing was opened adjacent to the central campus with 11 classrooms. 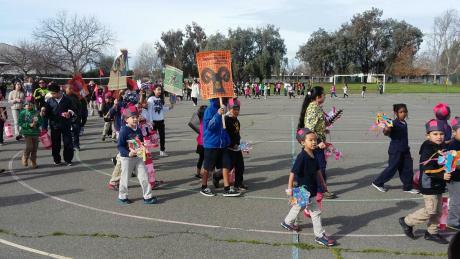 Students throughout the district are participating in events promoting walking and biking to school. The events also raise awareness of the need to create safer routes for walking and bicycling and to also stress the importance of increasing children’s physical activity, walker safety, and reducing traffic congestion. Reducing traffic also helps improve air quality. The effort is sponsored by WALKSacramento and includes special school walks, assemblies, and Halloween-themed walking safety programs. 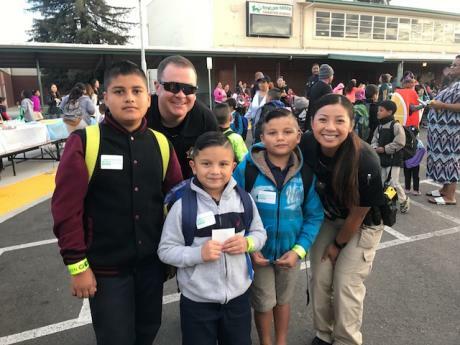 After finding out the bikes of a Bowling Green McCoy Academy family were stolen, social worker Prescilla Medrano reached out to the Sacramento Police Department for assistance. 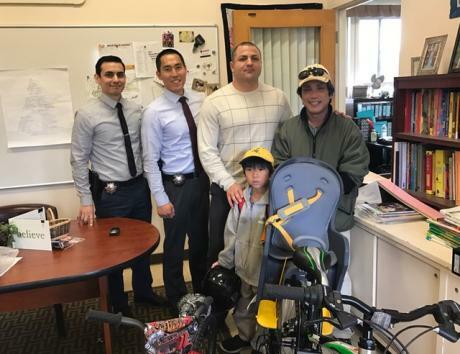 Through donations from the Sacramento Police Department’s Cops and Clergy program, the bikes were replaced to get this family back on the road to school.